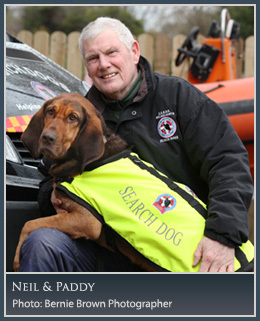 Neil is Senior Trainer for Disability Assistance Dogs (see News page). 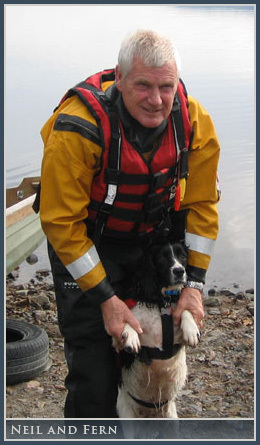 As a volunteer, Neil has spent over thirty years training dogs to locate people who have become lost on the mountains, trapped and buried in collapsed structures, or who have drowned and are still beneath the water surface. 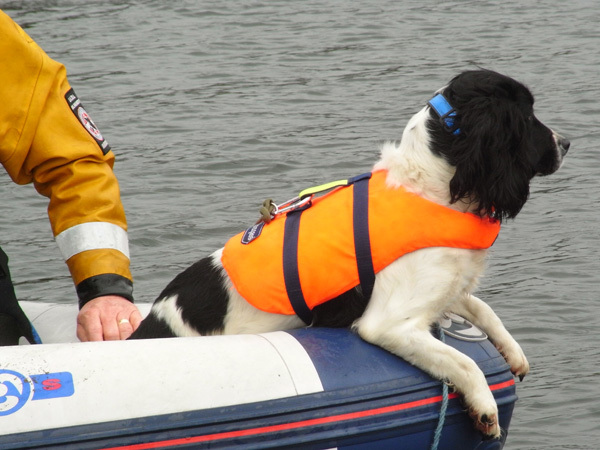 In fact, recently, Neil was invited by the National Search and Rescue Dog Association of the UK and Ireland, (NSARDA), to write the assessment standards for handlers of Drowned Victim Search Dogs. These have now been accepted by NSARDA and are the benchmark against which, the competancy of all future DVSDs will be measured. 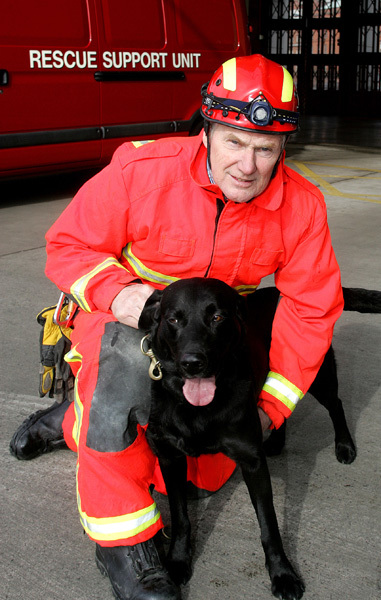 He now runs classes for basic and advanced obedience at venues in Newcastle, Kilkeel and Newry. 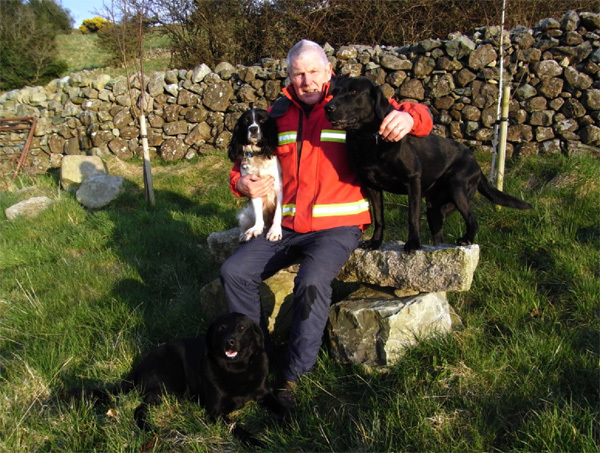 Neil offers dog training classes which are part of the Kennel Club Good Citizen Dog Training Scheme. They are a great way to socialise dogs, teaching them to walk to heel, sit on command, come when called, lie down and the sit-stay. Rathfriland Road, Newry, Co. Down, BT34 1LD. Neil and Charco with USART. Neil with Fern and Charco.